When Behrend Joost's "Sunny Side Land Company" bought the land from Leland Stanford the surrounding area was mostly vegetable fields. In the late 1880s San Franciscan Behrend Joost signed a contract to provide dredging services for a canal-cutting venture in Panama. The attempt failed (a successful Panama Canal wouldn't come until 1914), but Joost got out with a lot of money for his work before the enterprise collapsed. When Joost's "Sunny Side Land Company" bought the land from Leland Stanford the surrounding area was mostly vegetable fields. 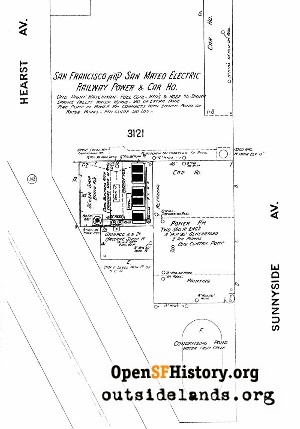 Surveyed in January 1890, the plat map for Sunnyside was filed with the Recorder's office in April 1891. An alphabetical order to the street names progressed east to west, from Acadia to Hamburg (which sadly was changed to Ridgewood in later years), while the north-south were named for individuals (including Joost himself). Eventually the city's various building booms caught up to the sparsely settled neighborhood. The razing of Sutro's forest for Westwood Park and Westwood Highlands opened up a path west as "Sunnyside Boulevard" merged into Monterey Boulevard. The old Ingleside Jail became City College and the various vegetable fields faded under concrete and homes. New streetcar lines, including the 10 Sunnyside reached the neighborhood. The small Victorian cottages were joined by stucco homes of the 1920s and 1930s and utilitarian duplexes of the 1950s and 60s. The Sunnyside still feels like a working-class neighborhood despite acting as a gateway to the tonier enclaves to the west, such St. Francis Wood and Sherwood Forest. 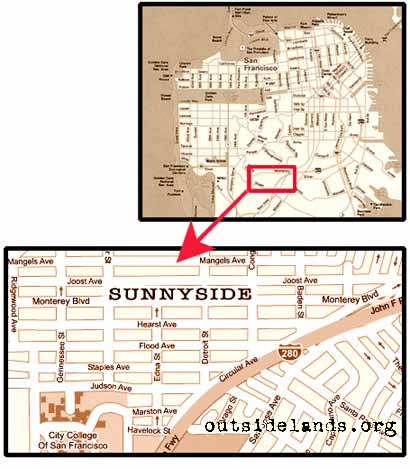 Perhaps because of the topography, and the dead-end streets created by City College and Interstate 280, Sunnyside has always had an isolated feeling---next to everything, but not a part of it. And despite Joost's hopeful name choice, there's usually more fog than sun in Sunnyside. Click on any corner of the map to see a close-up in a new window. 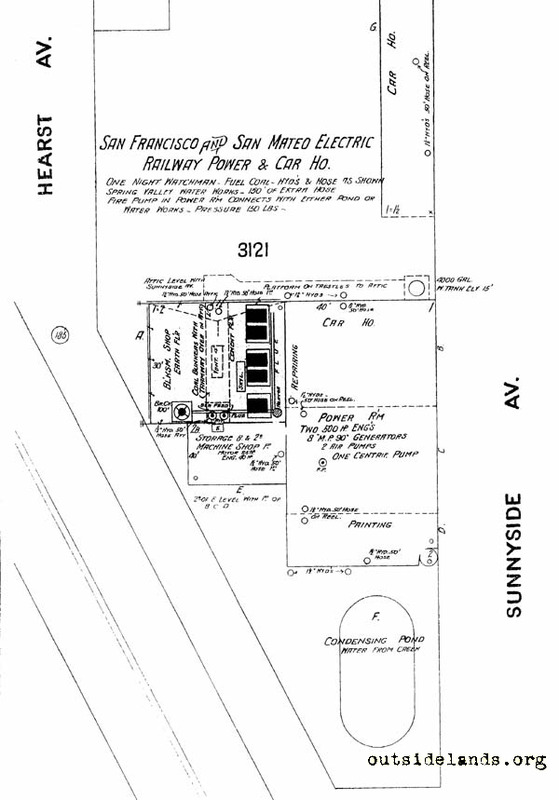 Images: 1) SF & SM Railway Powerhouse, 1900 Sanborn map image. 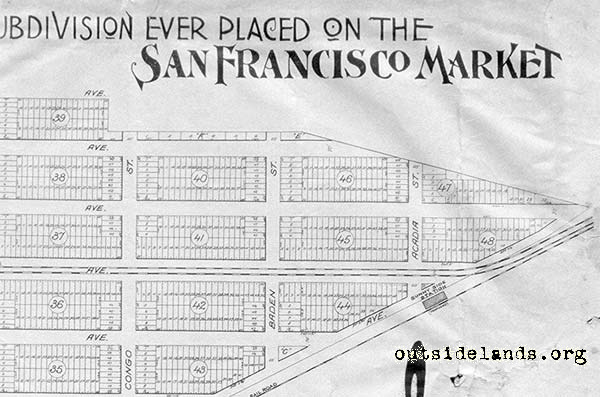 Click here to see larger version in new window; 2) Sunnyside plat map broadsheet, California State Library, Sutro branch. 1. Mae Silver, Rancho San Miguel, pg. 98, Ord Street Press, San Francisco, 2001. 2. 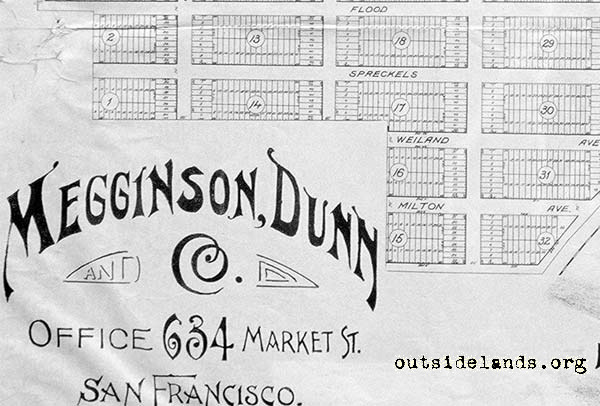 "Sunnyside" broadsheet, Megginson Dunn & Co., California State Library, Sutro branch. 3. 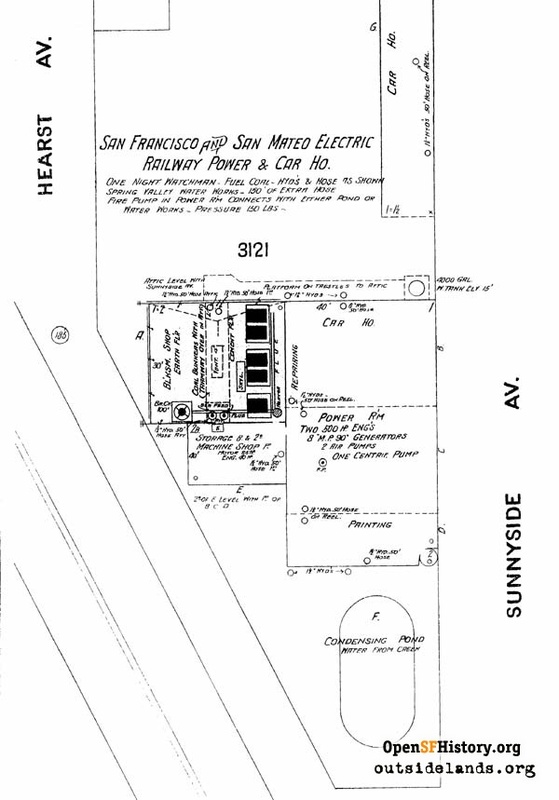 San Francisco Recorder's Office, Map Books A and B, p. 140-143. Thanks to Bill Kostura for this information! 4. 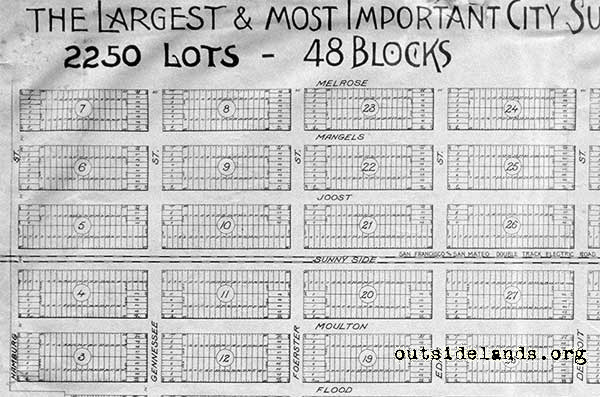 Data on home-building culled from 1900 Sanborn fire insurance maps. Thanks to San Francisco Genealogy for providing them online! 5. Jeanne Alexander, "Sunnyside Conservatory", Neighborhood Park Report #17 July/Aug 2000, Neighborhood Parks Council, project of Urban Resource Systems. 6. 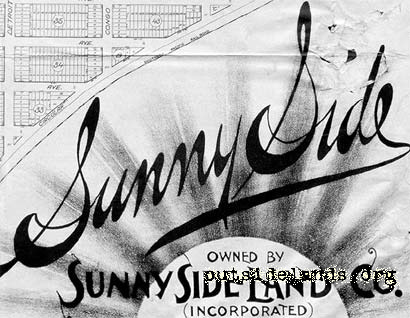 "Sunnyside Attracts Many Purchasers", San Francisco Call, June 19, 1901, pg. 10, col. 1. Page launched 30 September 2005; updated 27 March 2012.